The last week with Amazon Kindle Edition books has been… interesting. First and foremost, many books were placed on Amazon’s Kindle Store by publishers through MobiPocket instead of the Kindle Direct Publishing (KDP, formerly Digital Text Platform or DTP). Amazon has migrated these books to KDP, and in the process, those books were issued a new ASIN number, the unique number assigned to all products on Amazon. What does this mean for you, the author? Your book may need to be added to tracking again using the new ASIN just as you did in the past. It is a mess created by Amazon not using the same ASIN, but alas, we move on. For a while, some Kindle books that were not added to the Kindle Store through Amazon’s KDP suffered a penalty when it came to tracking: They were not accessible through the Amazon API, which is what allows NovelRank, SalesRankExpress, and other websites from accessing information about the book, including sales rank. For every other website, this is the end of the story. However, a few months ago I added code to NovelRank that worked around this limitation with Amazon.com and tracked the book’s sales rank anyway. 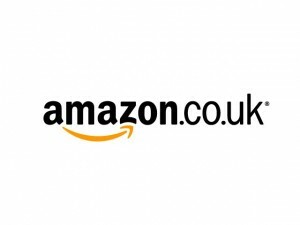 Well, that new code was added before Kindle books were added to Amazon.co.uk, and thus it only supported Amazon.com. Today, that is no longer the case. You can now track these Amazon.co.uk books on NovelRank. Be advised, this is about 5% as efficient a process as using Amazon’s API, but I feel it is a good idea that NovelRank continues to offer solutions for authors where other websites and publishers cannot provide the information. That’s why it exists after all. This entry was posted in News and tagged amazon.co.uk, kindle edition on January 31, 2011 by Mario Lurig.